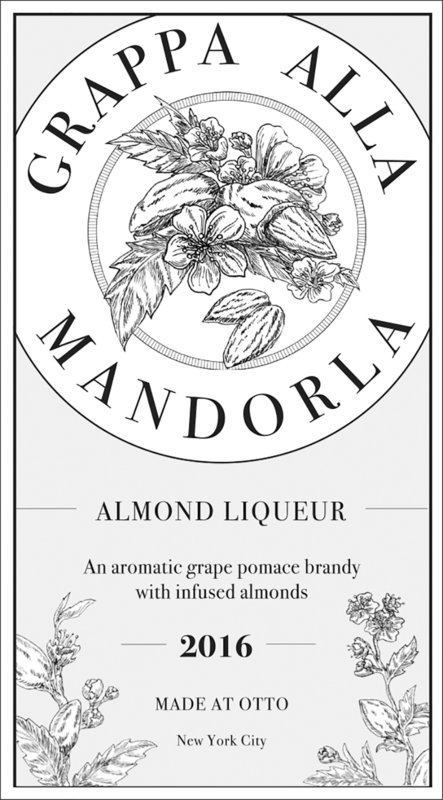 Custom print labels for two almond liqueurs, Grappa alla Mandorla and Mandorlino, for Mario Batali's annual holiday gift packages. For the Grappa label, I was instructed to create a distinctive label incorporating two key elements: geometry and Batali's signature orange palette. I experimented with various color gradients before deciding to tessellate triangles in alternating shades of orange. Black backgrounds allows the text to stand out. 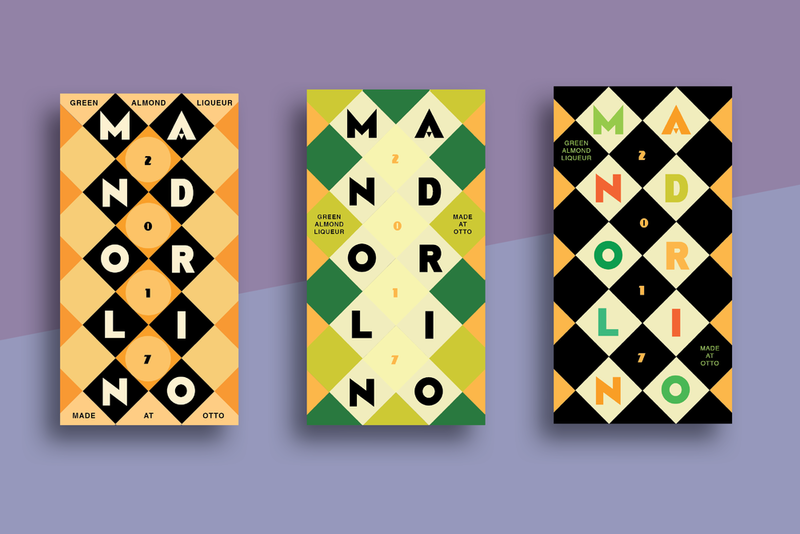 The objective for the Mandorlino label design was to resemble the Grappa label, but not too much. After a few iterations of checkerboard and vaguely-Christmas-tree-like patterns, I stacked the text for a bold new look. The orange triangular pattern was preserved in the border. 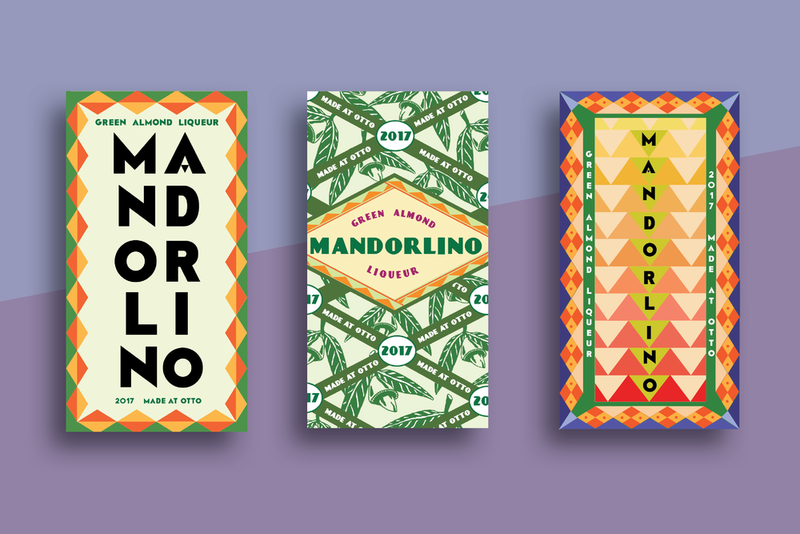 Details from one iteration of the Mandorlino design - a pattern created using a quick sketch of a green almond. 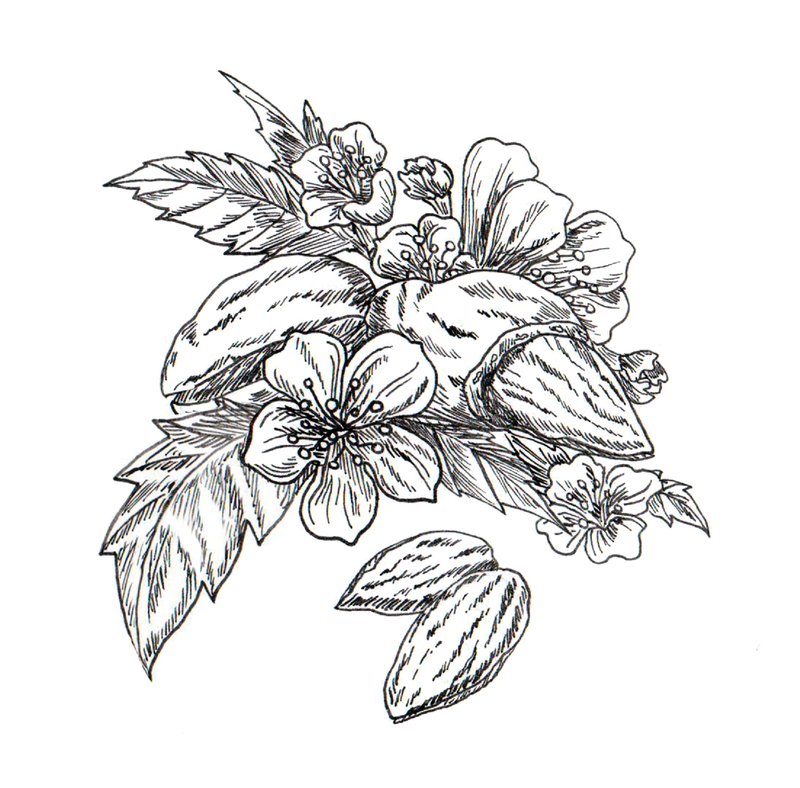 An preliminary design for the Grappa label, which at first, was supposed to resemble old apothecary sketches. 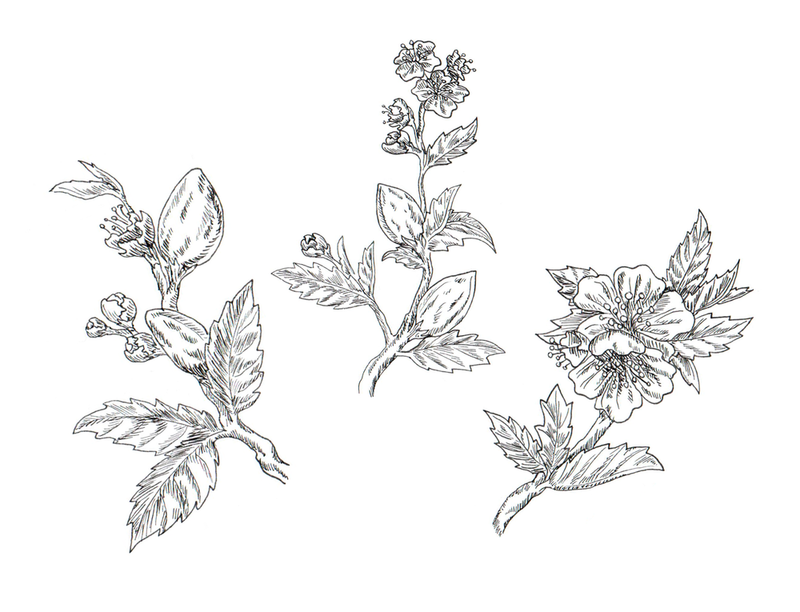 I illustrated almond blossoms and branches (seen below) which were never used, although I still think they're nice.